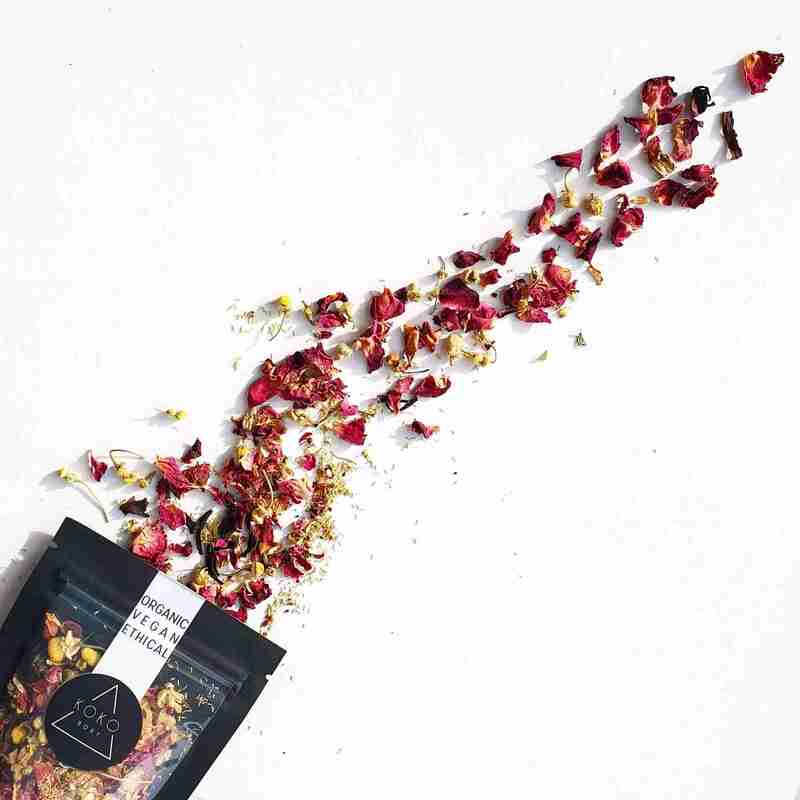 Rosehip, hibiscus, chamomile and rose petals combine to create this luscious facial steam. Steaming opens and unblocks pores allowing toxins and dirt that are trapped to be released. Gentle rose helps to soften and soothe skin surface while chamomile heals and calms and gives an antioxidant burst to skin . Hibiscus has toning and hydrating benefits that combine with rosehip to regenerate skin for a smooth plumped complexion. Simply place a tablespoon of the flower mix into a bowl that’s at least as wide as your face. Pour boiling hot water over. Let water cool slightly and then lean over bowl covering head and bowl with a towel. Make sure no steam escapes. Steam for five to ten minutes. If it gets too hot or you feel like your skin is burning stop. When finished wipe face with damp cloth. *Be careful not to use water that is icy cold as the change from hot to cold can break the capillaries in the face. Available in single use mini size or multiple use large size. Large will give around 5 -6 steams. Follow up with a clay face mask to maximise the benefits of opening up the pores. 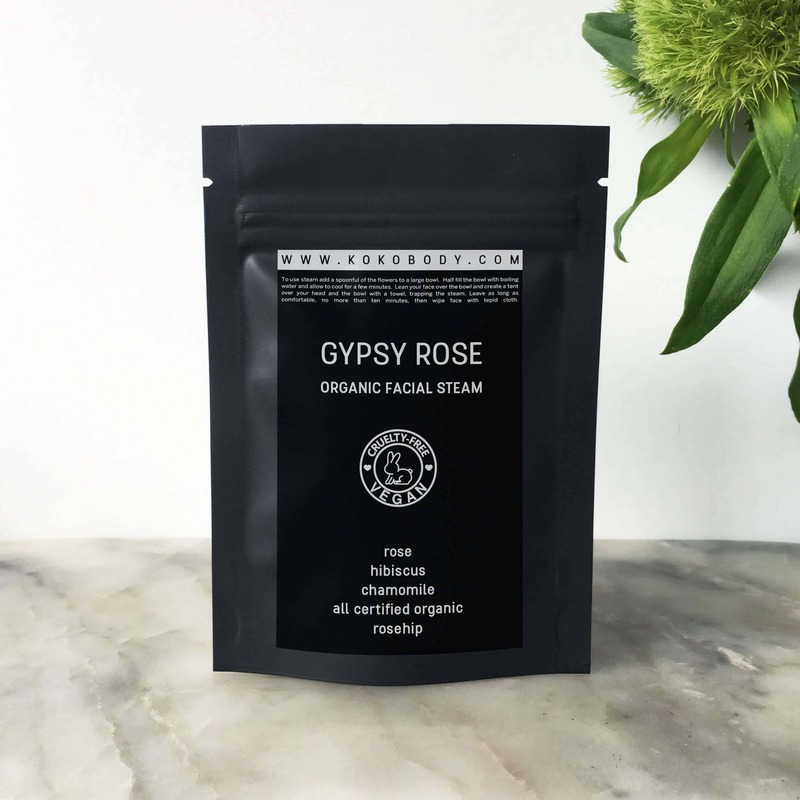 Gypsy Rose facial steam is made is food grade organic botanical so it can also be used to make a delicious cup of soothing loose leaf herbal tea. Rosehips adds Vitamin C and A to the body and Hibiscus is known to help high blood pressure and cholesterol. 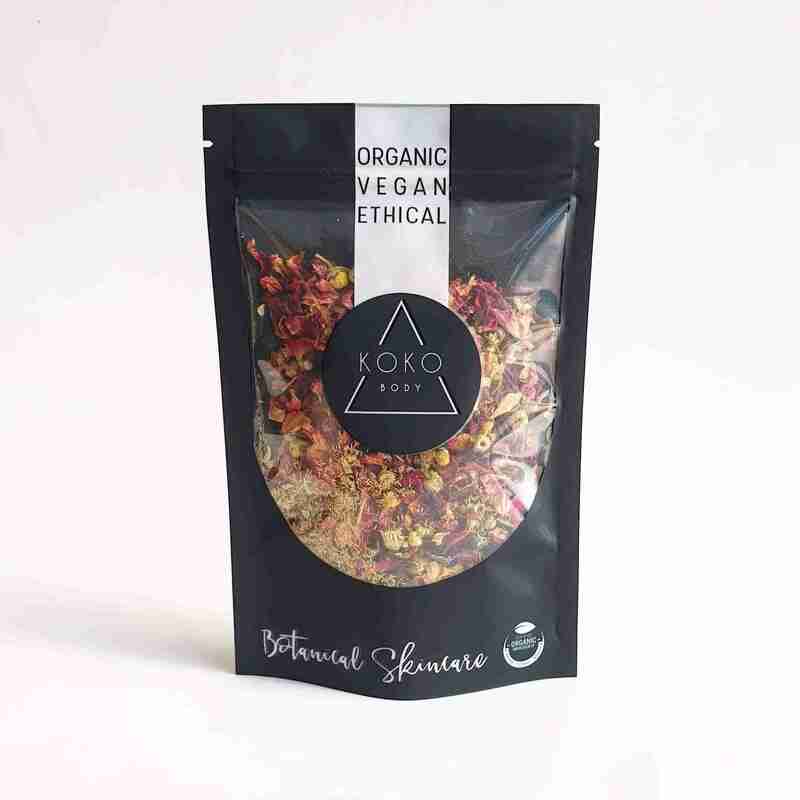 Chamomile and Rose soothe and calm to make this a relaxing berry flavoured blend. To use as a tea place two teaspoons into a tea strainer and add boiling water. Allow to steep for three minutes. Add honey to sweeten if needed. Shake packet before use to ensure an even mix of ingredients. Rosehip can sink to the bottom due to weight. 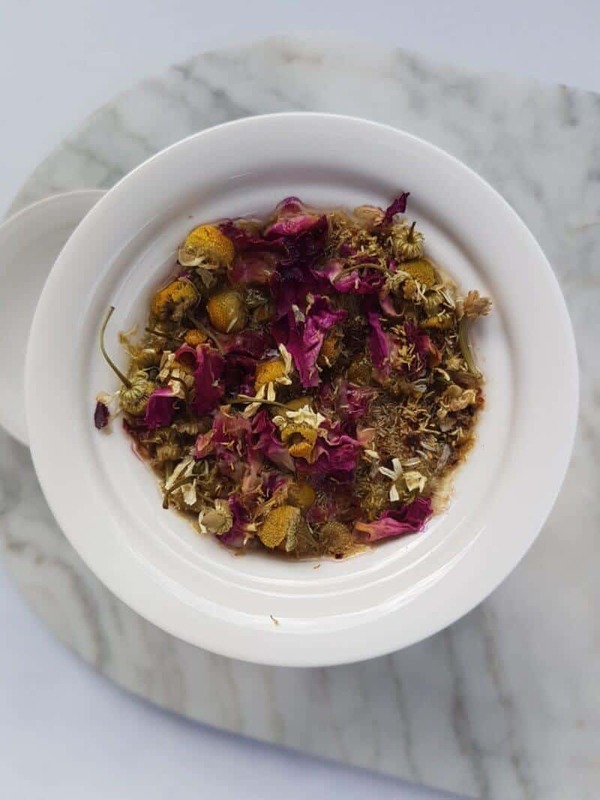 Ingredients: Rosa damascena (Rose)*, Matricaria recutita ( Chamomile)*, Hibiscus rosa-sinensis (Hibiscus flower)*, Rosa canina (Rosehips)*.